Demonstrations, marches and sit-ins have been organized two to three times a week recently, in front of the headquarters of the Polisario Front in Rabouni. 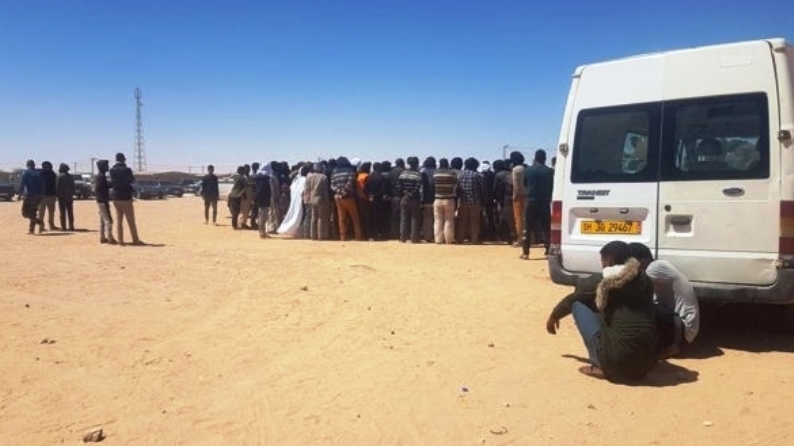 On Saturday, several hundred Sahrawis aboard vehicles drove towards the Polisario headquarters in Rabouni, where they observed a sit-in to protest against the tightening of restrictions on travel outside the camps. These measures, dictated by Algerian authorities, limit to once a month authorizations for vehicles to leave the Tindouf camps to go to Mauritania or to the demilitarized zones near the Moroccan defense wall. Large rallies had already been held on Wednesday, April 3 and Friday, April 5, in front of the headquarters of the so-called “Ministry of the Interior”, in Rabouni, to protest against these restrictive measures of freedom of movement. Following the drastic decline in recent years of food rations and medication and in the absence of employment opportunities, the majority of the inhabitants of the Tindouf camps have no other sources of income than trade and smuggling of products, both authorized and illicit, like fuel, cigarettes or even narcotics to meet their daily needs. The camps inhabitants, tired of their appalling living conditions, express their rage through marches, sit-ins and demonstrations. The protests have so far been peaceful, but if there is no improvement and if the populations’ anger is not heeded, no one can predict the outcome. According to local dissidents, the Tindouf camps are currently on fire and an implosion cannot be ruled out especially with the ongoing events in Algeria.